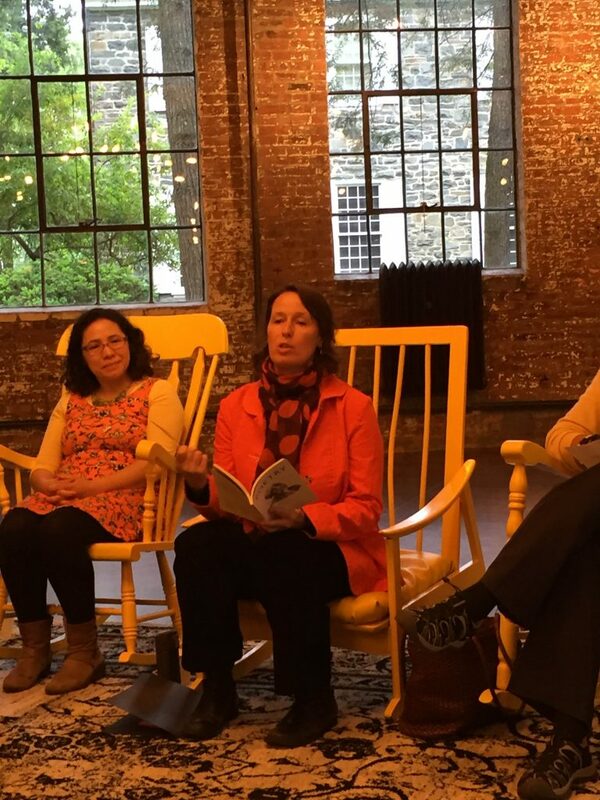 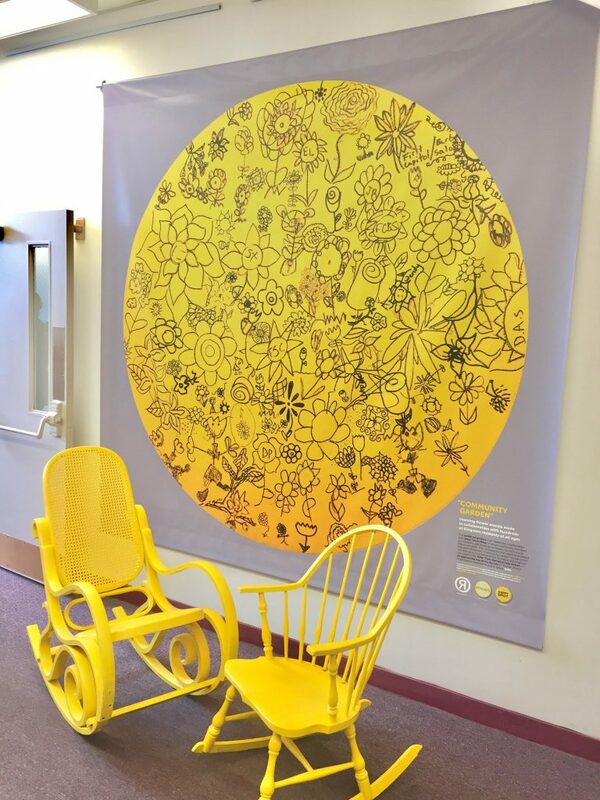 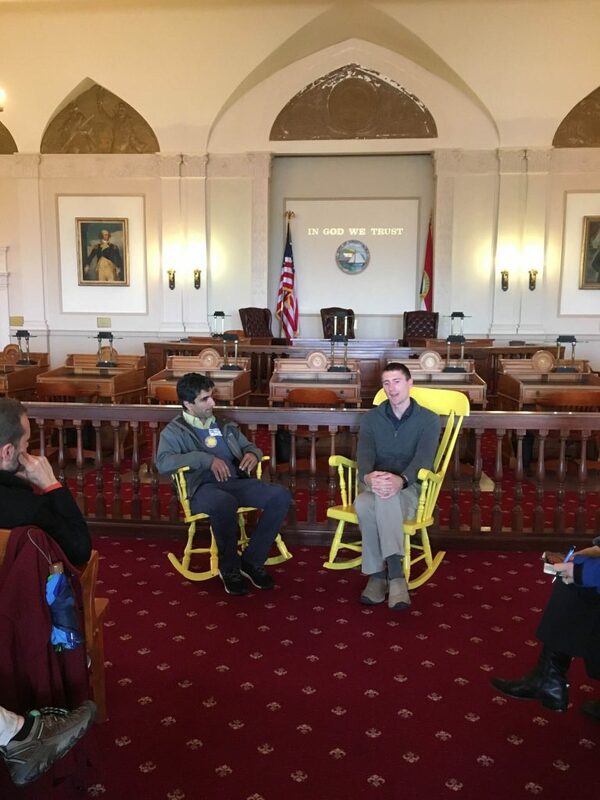 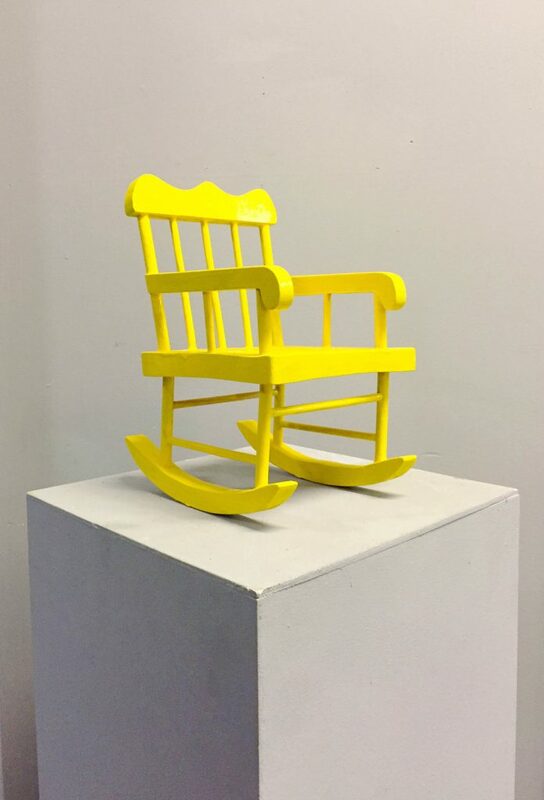 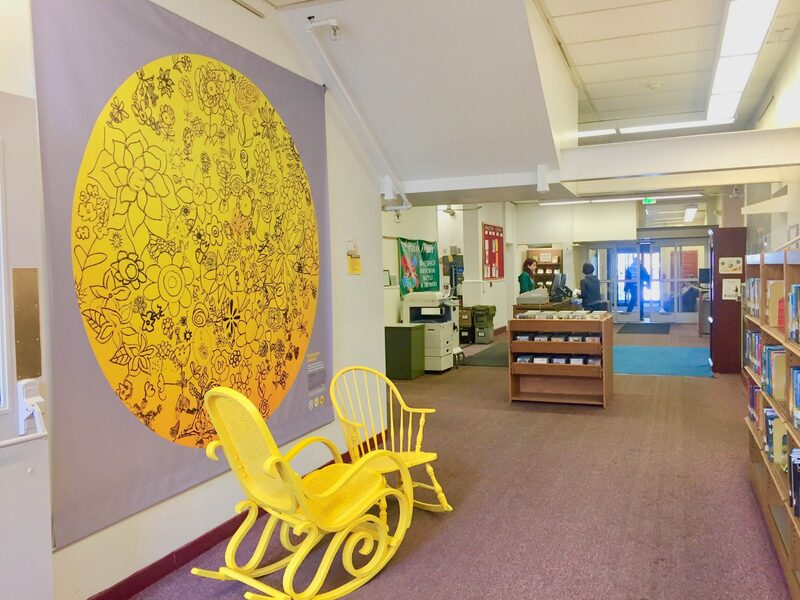 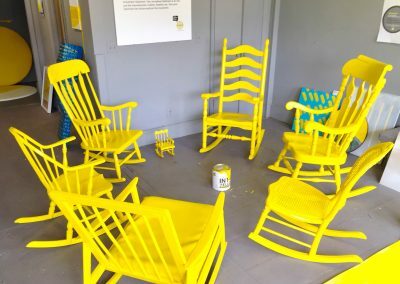 Rocking chairs donated by the community, painted INTOyellow, and placed in public spaces to inspire positive dialogue. 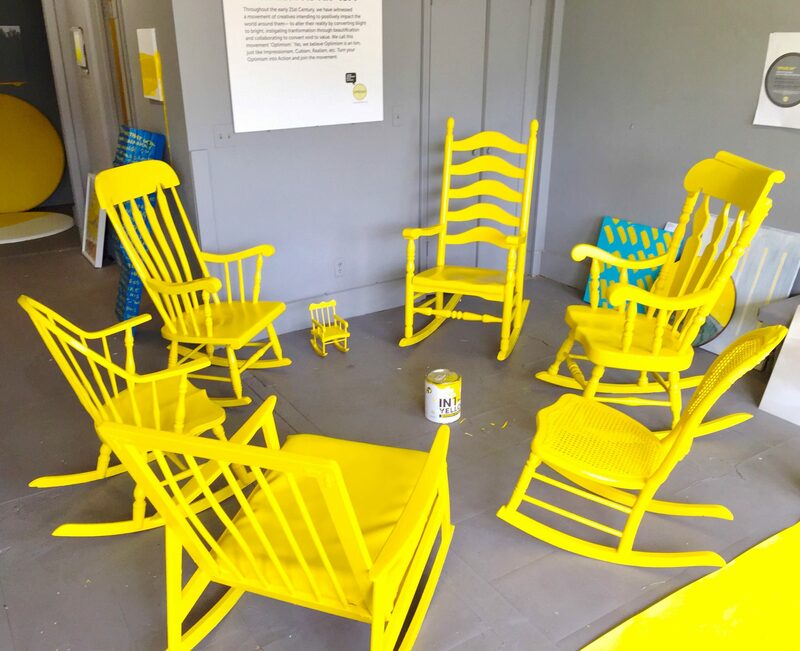 Pairs of rocking chairs are placed for the community to rock, talk and share bright ideas about improving their neighborhoods and cities. 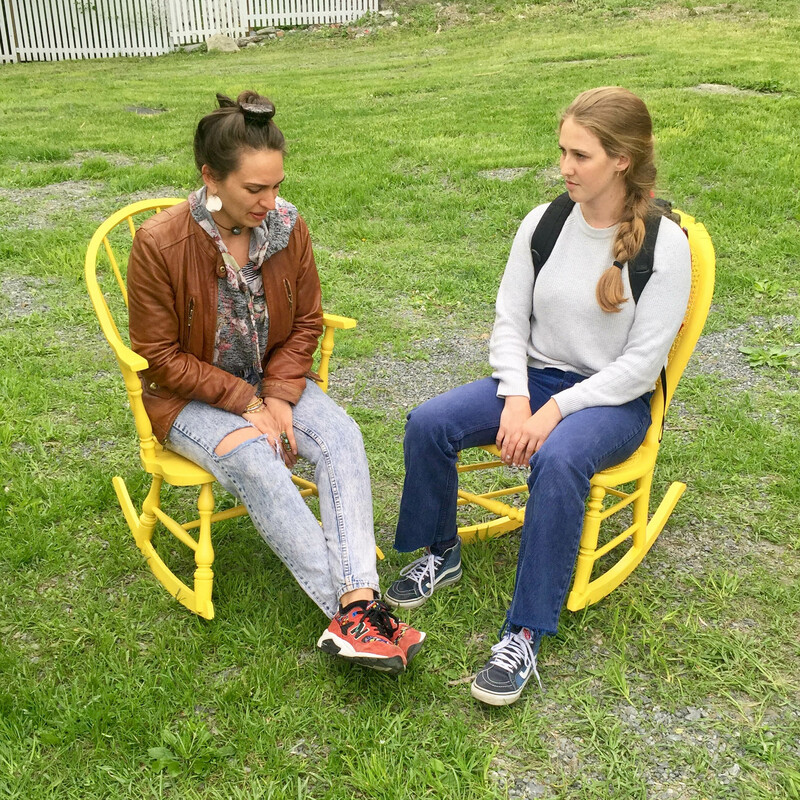 These are safe, neutral places for constructive conversation. 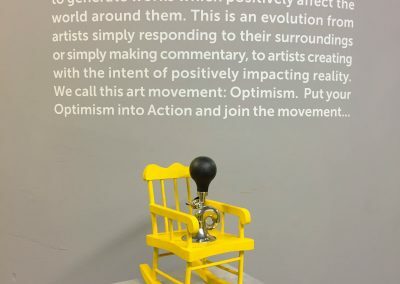 Participants and spectators are welcome to make a “Ah-OOGA Honking” sound (or an actual Ooga Horn that Uncle Riley frequently carries with him) if fellow participants stray into partisan political speech. 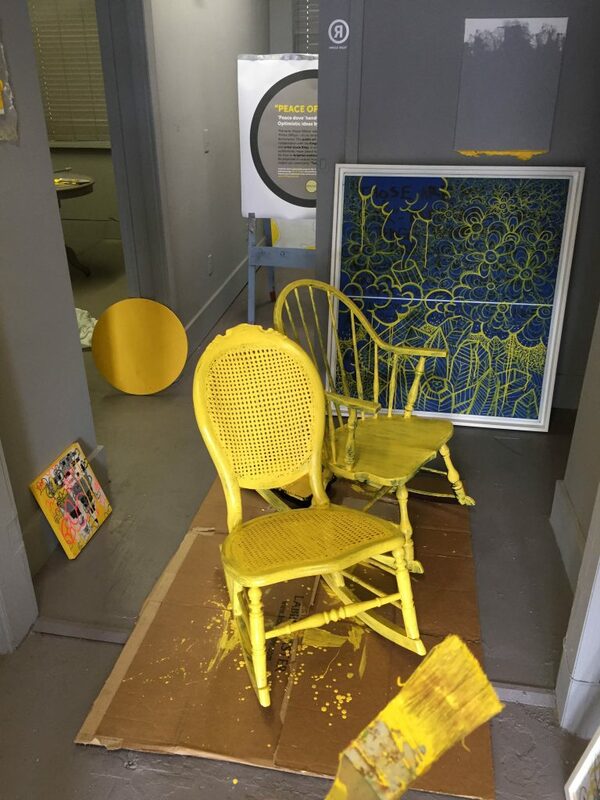 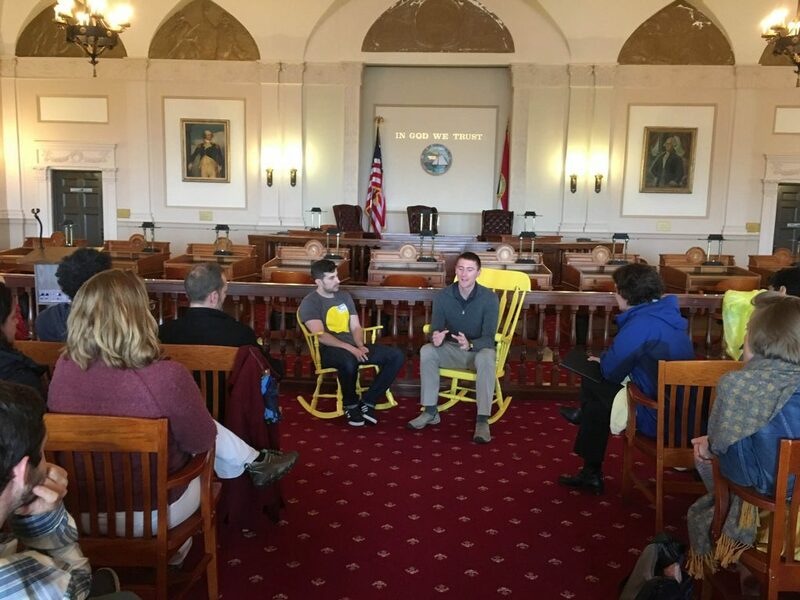 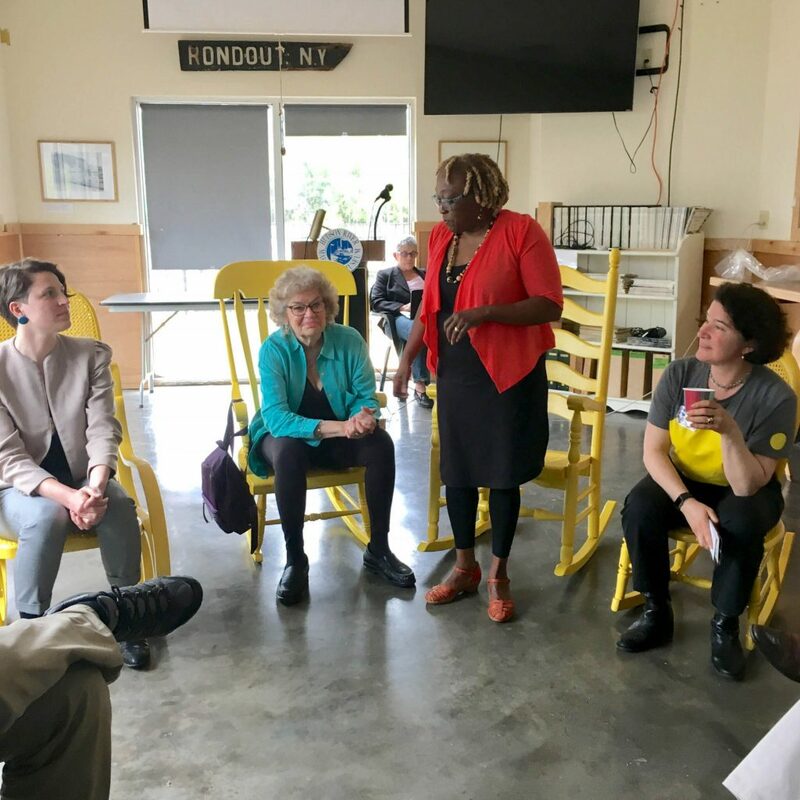 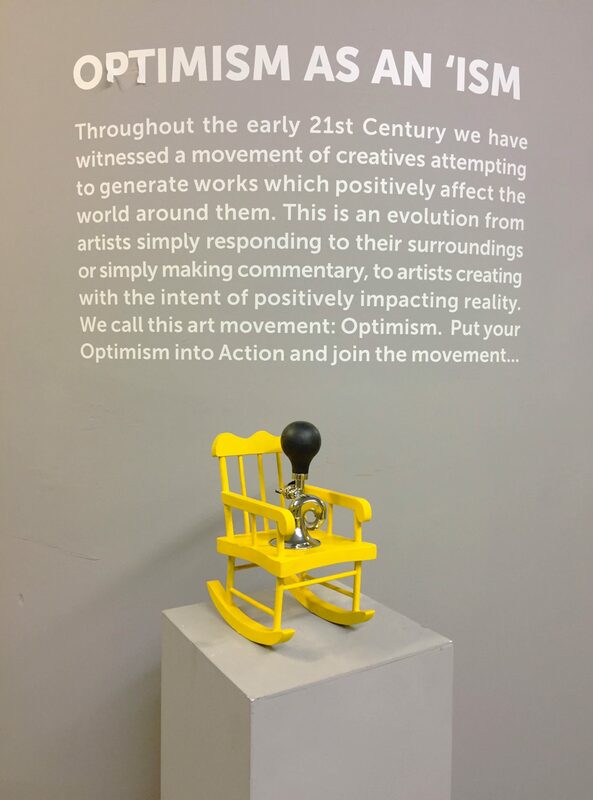 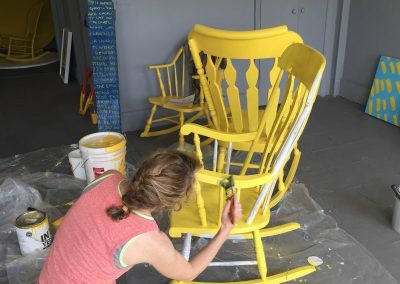 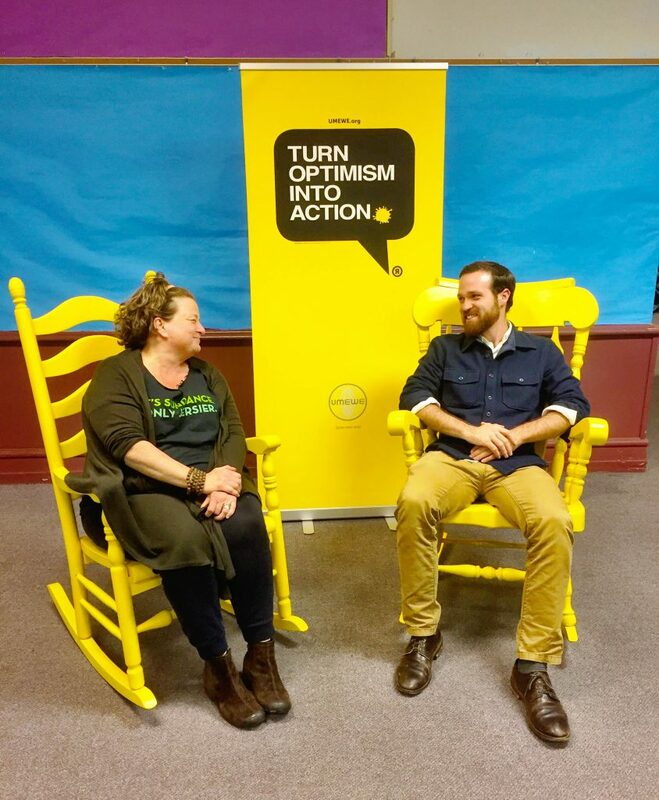 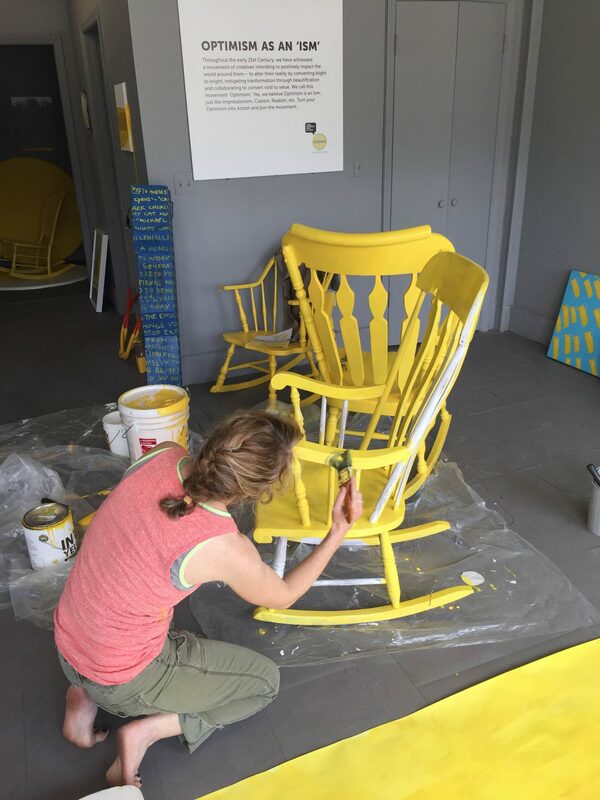 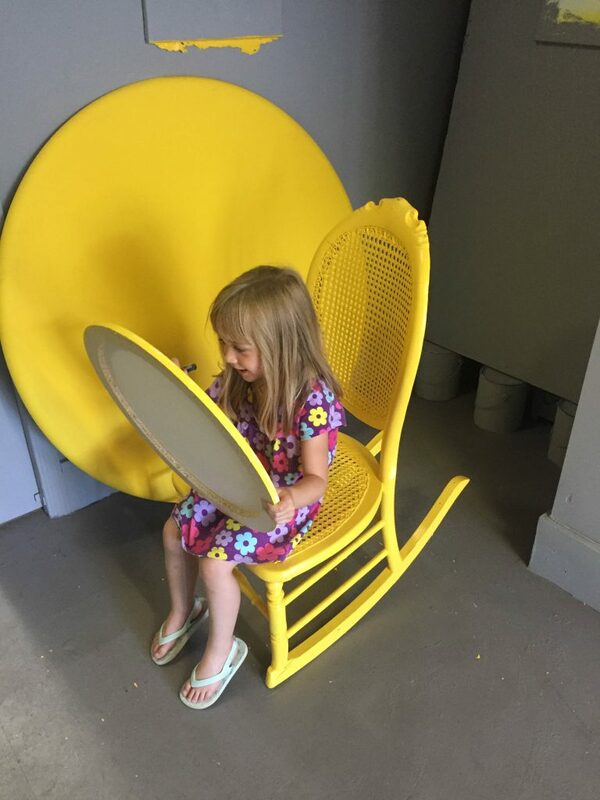 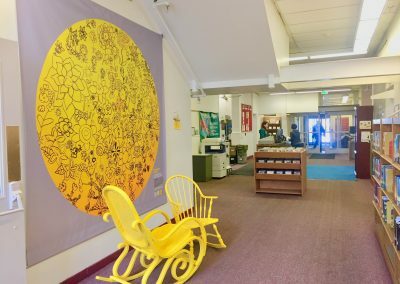 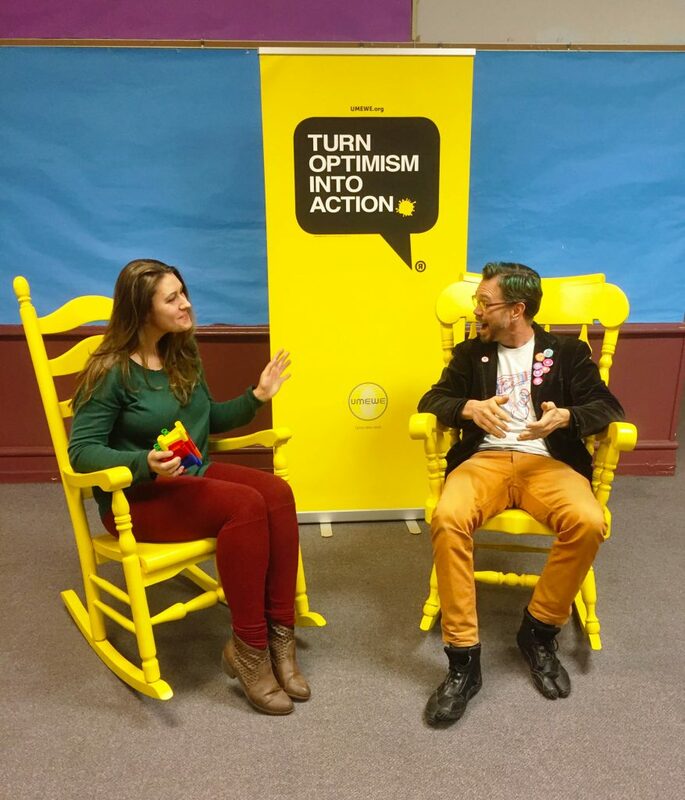 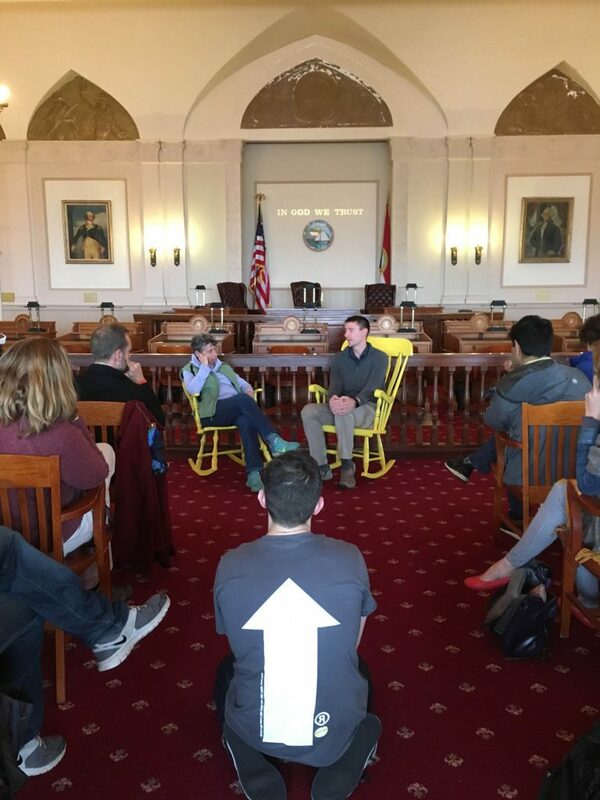 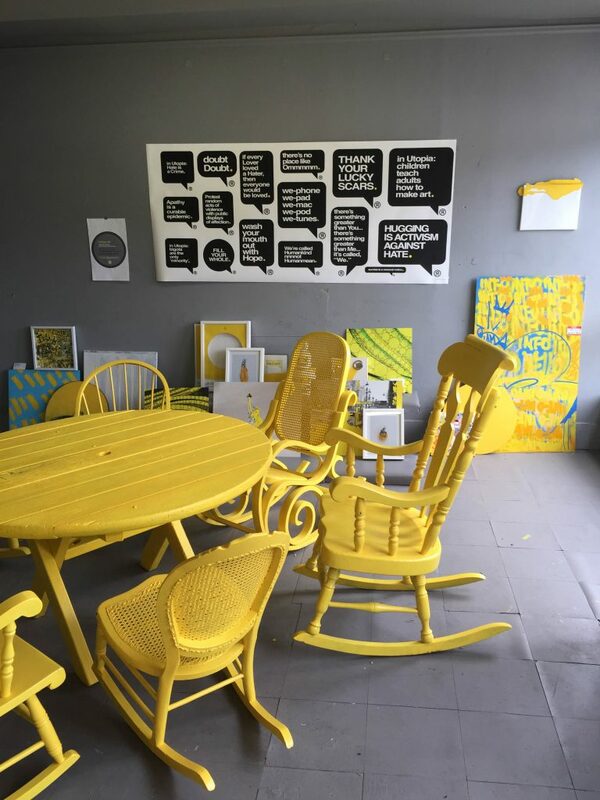 Rocking Optimism happens when members of the public donate old chairs and Uncle Riley, along with volunteers paint them INTOyellow and place them in pairs around town in places such as public libraries, parks, town halls, neighborhood porches, and cafes. 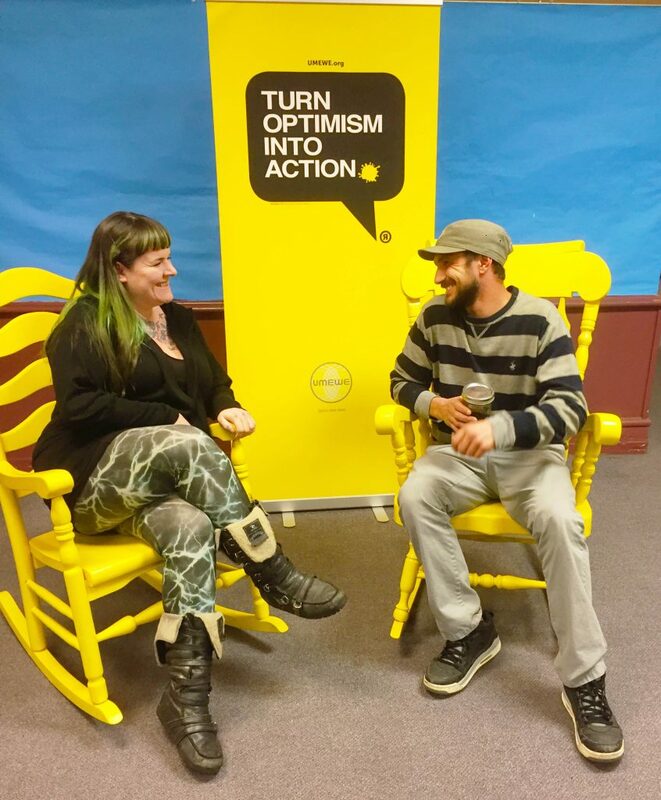 In Kingston, participants can publicly share selfie photos or videos of their conversation via hashtags on a local media platform. 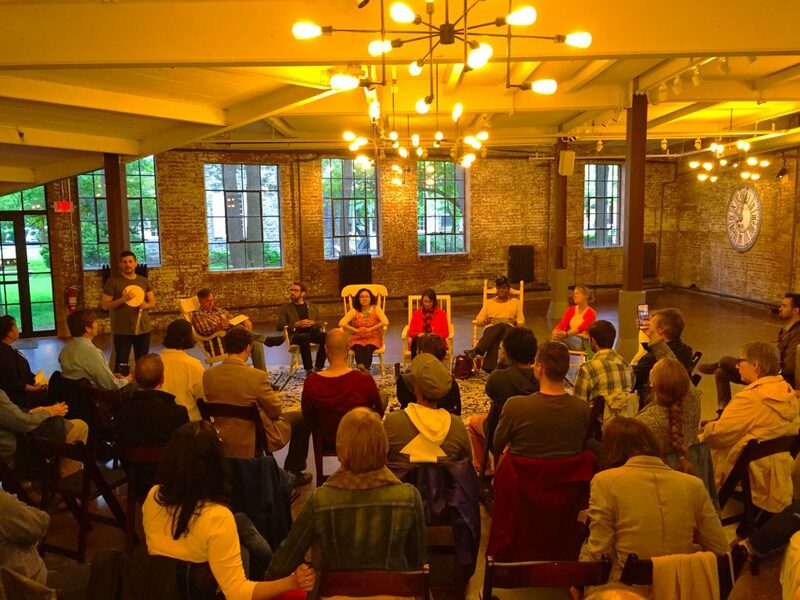 Only constructive ideas to problems and positive dialogue about pressing issue are allowed. 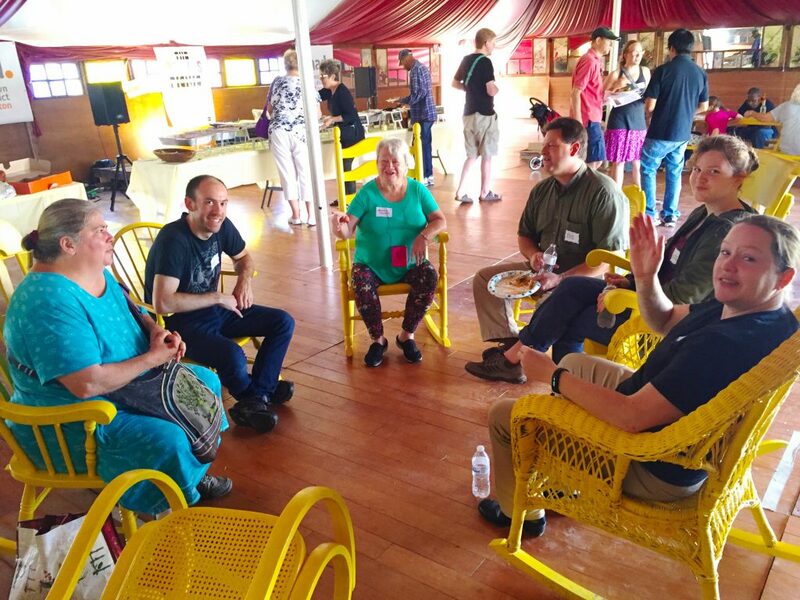 Participants are encouraged to engage with strangers, or people they might assume have contrary viewpoints like more conservative or liberal, or people of different lived experiences such as differing races or ages, differing economic backgrounds or differing roles in the community like politicians and others.